Selection of Best Intraday Trading Stocks is the trickiest part. A wrong decision can prove very costly to the traders. On the contrary, if a trader can identify right stock for the intraday trading then he/she is home. One of the most important traits or feature of an intraday trading stock is that it should be highly volatile. Only in a volatile stock, the trader can earn a profit. A stock without much movement is not a good candidate for the intraday trading. 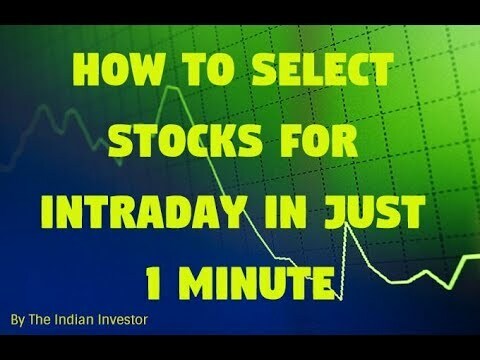 In this video, i will share how i identify an intraday trading stock in just 5 mins. This method is very useful for the traders who don't have too much time for analysis or are not very comfortable with the analysis. The video shares some simple steps that anyone can perform to identify or select Best Intraday Trading Stocks. By subscribing, You can daily watch a new Educational and Informative video in your own Hindi language. This method is very useful for the traders who don’t have too much time for analysis or are not very comfortable with the analysis. 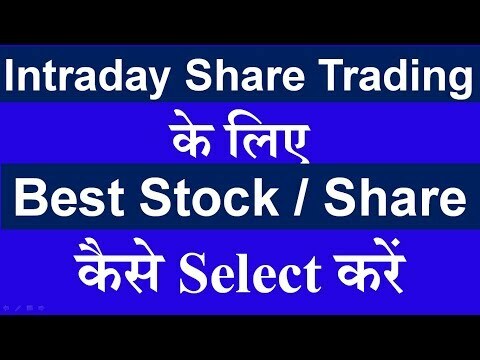 The video shares some simple steps that anyone can perform to identify or select Best Intraday Trading Stocks. Thank u so much for this wonderful VDO Nitin. But Plz Let us know that from this filtered Stocks, How we could get to know, whether We should buy or sell? Sir I dont know anything about excel. so plz explain the excel procedure slowly. Great Video Nitin sir, thanks a lot for sharing such valuable information for traders! 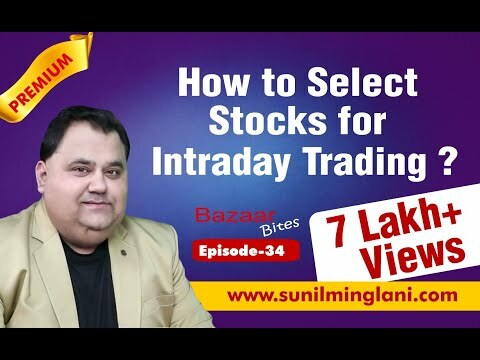 This is useful in determining watch list for Intraday Trading, but one thing you should note, NSE calculates data based on 365 day, but in actuality there are only 220 trading days , but I guess the deviation will not be much, what do you think..
thank you so much Nitin sir its really helpfull…. If someone wants a magical AFL then contact us . you are great sir.. thank you. sir how to analysis sansex actual closing before 15 min.